While we object to the needless destruction of non-native plants and trees, we are even more concerned about the destruction of non-native animals. Using the same justification, namely that non-native animals out-compete native species of animals, native plant advocates and their allies are equally committed to the eradication of non-native animals. The list of targeted animals is long: e.g., non-native frogs, turtles, fish, bees, foxes, opossums, squirrels, deer, pigs,etc. When populations of native animals increase in urban areas, they are called “subsidized predators” and added to the death list: e.g., raccoons, skunks, etc. A native animal can land on the death list if its range expands, such that it becomes a competitor for a preferred, rare native animal. First we will indulge in a brief digression on behalf of the non-native European honeybee, one of the few species of bee in the United States that produces honey. If that’s insufficient reason to defend its existence, let us consider that the European honeybee is responsible for pollinating about one-third of all agricultural crops and orchards in our country(1). Even without eradication efforts, the honeybee is in trouble. In the past several years, about one-third of all hives have failed each year from multiple factors summarized as “Colony Collapse Disorder.” Despite the obvious value of this non-native creature, it is being eradicated by the Nature Conservancy on its “restorations” in the United States because it is non-native and it is considered a competitor to native bees, which are not capable of pollinating many agricultural crops or making honey(2). This seems to us a classic case of nativism shooting us in the collective foot. Now we will turn to two efforts to exterminate animals that were both appallingly destructive, but more importantly, ineffective and clearly a waste of both lives and taxpayers’ money. The first example is historical, illustrating that man’s efforts to manipulate nature to serve his purposes are not new and undoubtedly can be traced as far back as the historical record can take us. The Division of Fish and Game hired an army of 45 full-time men in 1948 to continue this war on the perceived enemies of quail. This extermination effort was not abandoned until 1957, when the Division of Fish and Game concluded that the quail population was not benefitting from this animal holocaust and that reduced food sources and cover, resulting from changes in land uses and consequent vegetation types was the reason for the declining quail population. In other words, hundreds of thousands of animals lost their lives over a period of over 25 years for no reason whatsoever. So, did we learn anything from that experience? Clearly not. Today there are nearly as many programs to eradicate non-native animals as there are non-native species. We choose the brown-headed cowbird as an example of modern eradication efforts because it is occurring in California (5). Although the brown-headed cowbird is native, it is perhaps one of our most reviled birds because it is a nest parasite, which means that it lays its eggs in the nests of other birds. Their egg is usually larger than the eggs of the “host” bird and it hatches earlier than its nest-mates. The result of these advantages is that the off-spring of the nest owner usually does not survive, but the cowbird chick survives to repeat this trick. Because the range of the cowbird has been expanding, it has been blamed for the declining population of songbirds. But does the cowbird deserve to be blamed for the decline in the songbird population? Professor Stephen Rothstein (Department of Ecology and Evolution, UC Santa Barbara) says, “NO.” He tells us that the range of the cowbird is not larger than its historic range. At the time of the megafauna (e.g., wooly mammoths), about 15,000 to 20,000 years ago, cowbirds probably occupied their current range. When the megafauna disappeared, the range of the cowbird shrank. As in the case of the quail, we look to man for the explanation for why its range has expanded again: the introduction of large grazing animals by Europeans has provided the cowbird with a substitute for its prehistoric food source. Professor Rothstein tells us of several efforts to exterminate cowbirds on behalf of declining populations of songbirds and concludes that although songbird populations may have recovered in some cases, the extermination of cowbirds is not the likely explanation for their recovery. 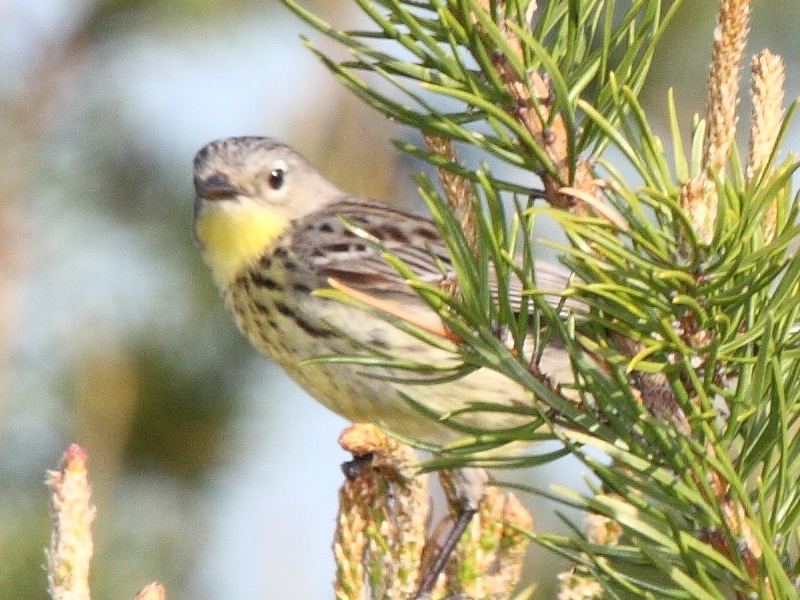 The recovery of the Kirtland’s Warbler in Michigan is a case in point. The warbler’s nesting habitat was well known to require periodic fire. Yet, the scientific managers of this recovery project preferred to kill cowbirds rather than to risk human life and property by not suppressing fire. Nearly 125,000 cowbirds were destroyed in a portion of a small peninsula in Michigan during the period 1972 to 2002. Although nest parasitism declined significantly, the population of Kirtland’s warbler did not increase until over 20 years later after a large accidental forest fire. In other words, the cowbird is a scapegoat for the choices made by man, in this case the suppression of fire. Like the predator control project on behalf of the quail, cowbird extermination projects create jobs. The Kirtland’s Warbler project continues to cost about $100,000 per year, although there is no evidence that the warbler is benefiting from it. Rothstein speculates: ”The money spent on cowbird control every year may total more than one million dollars.” This creates a profit motive which Rothstein says results in a “control lobby” that advocates for continuing the program whether or not it is effective. He believes that this money would be put to better use by addressing the underlying problems, such as habitat loss to development or reduced water levels that change vegetation types, as in the case of the declining population of the Southwestern Willow Flycatcher. That native plant advocates and their allies frequently confuse cause and effect, e.g., cowbirds are not responsible for declining songbird populations. That man finds it convenient to scapegoat plants and animals for changes in the environment that are caused by man. Postscript: Here is a link to a radio story about another episode in the attempt to save the Kirtland’s warbler. After killing 125,000 cowbirds (according to the ABA article), US Forest Service changed its mind about why the population of Kirtland’s warblers was dwindling. They decided that the problem was that the warbler required young trees of a specific species, which is germinated by fire. So, they set a prescribed burn that caused a wildfire on a windy day, burning over 20,000 acres, destroying 41 homes, and killing a young man who worked for the Forest Service. The population of Kirtland’s warblers rebounded. Now the Forest Service says they must continue to kill cowbirds and set prescribed burns every year forever if the Kirtland’s warbler is to survive. This radio program poses the question: does this make sense? (5) Rothstein, Stephen, “Brown-headed Cowbird, Villain or Scapegoat?,” Birding [journal of American Birding Association], August 2004, 374-384. A thoughtful and insightful article. Nativists seem to have little concern for birds or animals in general — only for a selected few species. @Save Sutro – I fear that you have missed at least half of the education to be had from this article. Increasing the population of a species by affording it a more abundant food supply requires that a greater number of deaths occur to members of that species, even if the ratio of births to deaths remains the same — as was the case with Quail. Do you suppose the same population of Europeans on whose coattails the Quail took to riding NEVER hunted Quail? What kind of regard for other animals (and I use that qualification as a reminder that humans are animals ALSO) does quail-hunting evidence? Of the numerous specimens of animal taken down by fish and game on the list from 1931 HOUSECATS, the care and feeding of which in a domestic environment necessitates TREMENDOUS animal abuse in the various forms it takes place in factory farms, topped the list in the 600’s just under bluejays. If you read the last half of the article at all, you wold note that it was intervention on the behalf of themselves and preservation of their own edifices and claimed property that led to a DELAY in the recovery of the Songbird population and the HUMAN-MADE decision to slaughter NATIVE cowbirds by the score, and to use millionis of dollars doing it. Much of the article focuses on Golden Gate Park, which got me thinking about how it—as an urban wildlife habitat—has changed over time. Despite some sleuthing (both Web and scientific journals), I’ve been able to find nothing linking predation by cats to declining quail populations—though, of course, there are plenty of claims to this effect. Now, a study done in the 1990s around Lake Chabot suggests a strong connection, but doesn’t hold up well to careful scrutiny (as I’ve discussed at some length here: http://www.voxfelina.com/2010/06/the-work-speaks-part-5-jumping-to-conclusions/). 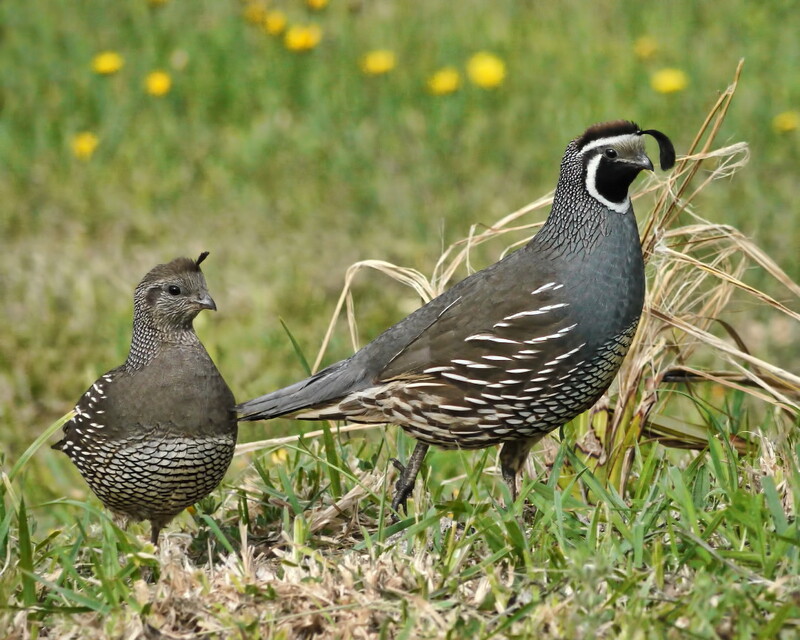 Webmaster: We recommend that you read A. Starker Leopold’s California Quail. The population of quail in San Francisco probably increased in the late 19th C because of the vegetation planted by the settlers, such as the development of Golden Gate Park on barren sand dunes. Then, as building development of the city increased, the quail population began to decline, as it did everywhere in California. This sequence of events is described by Leopold in his book. He also makes it clear that attempts to kill predators of quail have been unsuccessfull and he emphatically concludes that it is the quantity of food and cover sources that determine the size of the quail population. Please visit our post entitled “Estimates of economic impact of ‘invasive species’ fail smell test” in which we critique claims of cat predation of birds. Thank you for your visit and the research you do on behalf of cats.